A busy scene at Immenstadt, junction of the branch to Oberstdorf, on the morning of 13 July 2006. 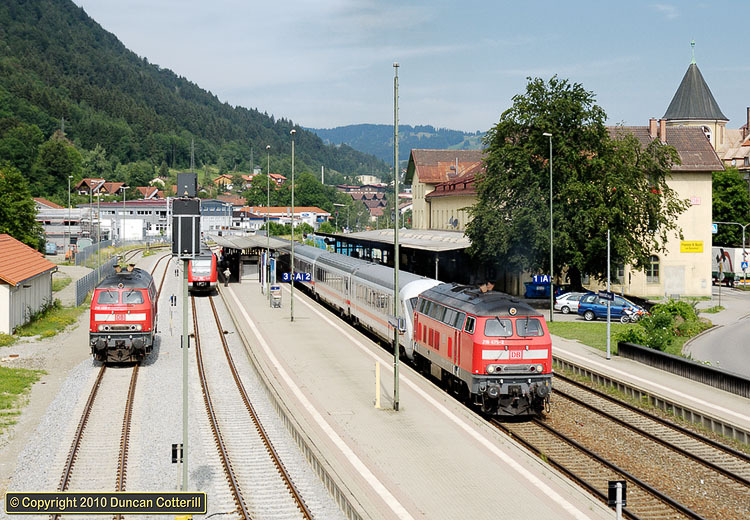 On the right, 218.475 departed on IC2084, the 09:26 from Oberstdorf to Augsburg, passing 218.468, waiting for the arrival of IC2012 from Oberstdorf, which it was booked to double-head to Ulm. In the middle a pair of class 612 units had just arrived from Ulm and would soon leave for Oberstdorf.